This set contains 8 Bruynzeel Magic Felt Tips which create a magical effect The colours in the set can be transformed using the magic felt tip. 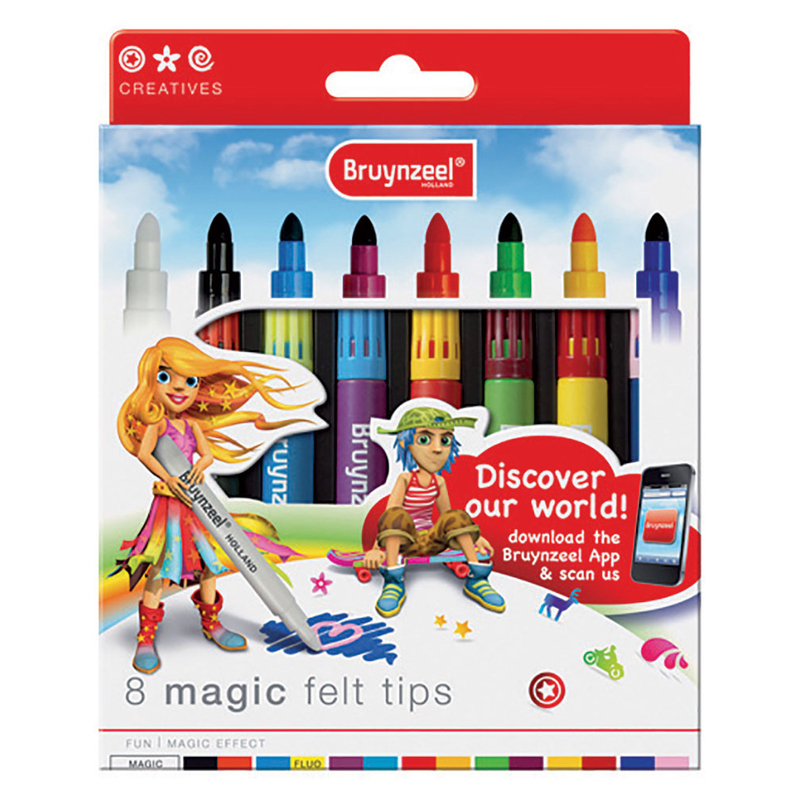 Simply use the magic felt tip to colour over your image to transform the colours right before your eyes! Be sure to protect any furniture and clothing against stains before use, and have fun colouring!